A fabulous fun opportunity to make your own screenprint at a workshop at Wits Art Museum this Saturday 12th August at 12pm. And of course surrounding you will be some 80 works by that Master of Screenprinting – Andy Warhol. You’ll be able to choose from a variety of images and colours of ink to print on paper. No previous experience is required. Booking is essential as materials are limited. Email info.wam@wits.ac.za or call 011 717 1378. 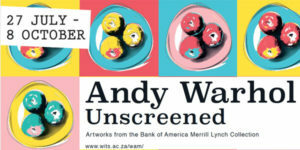 This event is sponsored by a generous grant from Bank of America Merrill Lynch, as part of the educational programme for the exhibition Warhol Unscreened: Artworks from the Bank of America Merrill Lynch Collection. At the recent Turbine Art Fair there was a special exhibition of works by JH Pierneef from the private collection of Anton Taljaard (of Keyes Art Mile fame). 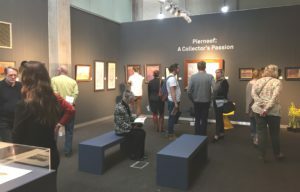 And no, I didn’t buy a Pierneef – the etchings, watercolours and oils were not for sale. 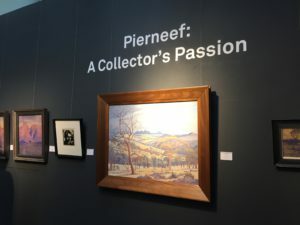 The collection is astonishing – one of the biggest private collections in the country and includes some of Pierneef’s original etching plates. What a treat. 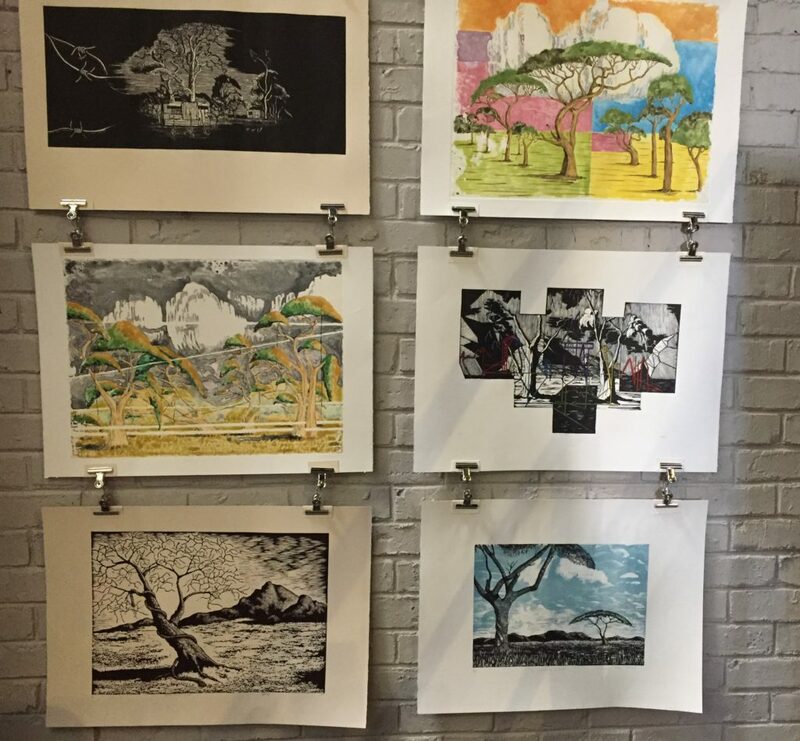 Linked to these previously unseen Pierneef’s was an exciting series of linocuts made by young artists working out of Artist Proof Studio and drawing on Pierneef’s style and iconography. And I fell in love with ‘A moment of silence’ by Methembe Hlela Molefe see below bottom right. Artist Proof Studio is the amazing community based arts organization founded by Kim Berman and Nhlanhla Xaba (who died tragically in 2003). 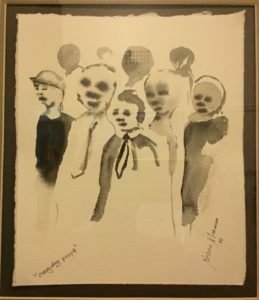 During the 1980s Kim Berman spent several years as an intern in women’s communal printmaking studio called Artist Proof Print Cooperative in Boston. Following the unbanning of the ANC and the release of political prisoners, Berman returned to South Africa in 1991. She brought with her a French Tool etching press (the ‘Rolls Royce of printing presses’ and the right to use the name Artist Proof Studio. Stay at our well located Guest House and learn more about Artist Proof Studio. View our Rosebank Guest House for Rates and Availability! Xaba in the meantime had been involved in the Khula Edweba art training at the Open School in Pimville and at the Soweto Neighbourhood Museum. Berman and Xaba met when Xaba was exhibiting at her mother’s exhibition space, the Berman Gallery in Braamfontein. Xaba recruited artists like Helen Sebedi, Vincent Baloyi, Charles Nkosi as well as graduates from FUBA (the Federated Union of Black Artists). Tragically Xaba died in 2003 after a fire broke out in the warehouse space of the studio. 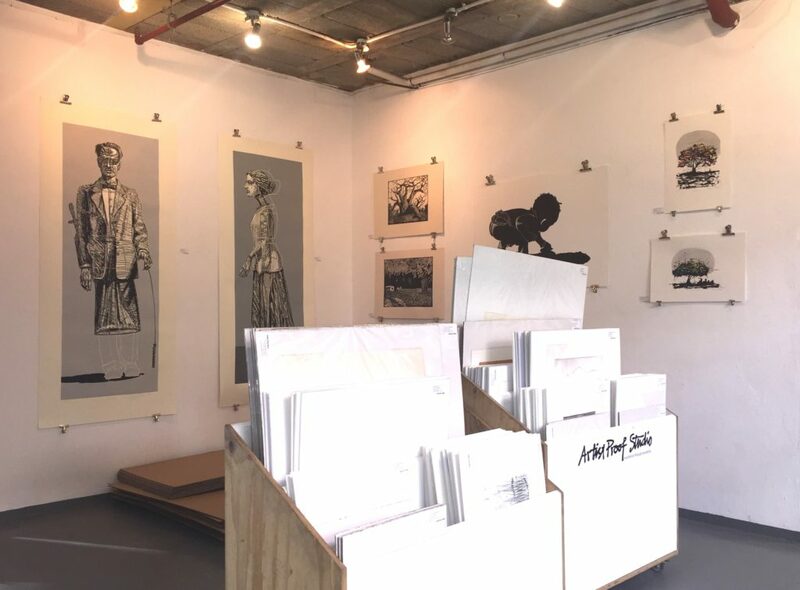 Training around 80 to 100 students yearly in drawing, printmaking, business skills and visual literacy – the Artist Proof Studio creates a huge impact on the visual arts in South Africa. Philemon Hlungwane, Nelson Makamo, Lehlogonolo Mashaba, Paul Molete, and Blessing Ngobeni all trained at APS and now have self-sustaining careers. Berman goes on to say that ‘a response to this requires imagination, aspiration and resilience and a process of self-creation’. And Kim certainly leads by example. You can find the Artist Proof Studio at the Bus Factory 3, President St. 011 492 1278. You will find loads of affordable art from young exciting emerging artists.